So you’re setting up a YouTube account. This is your chance to show the world your indubitable talents as a professional lip syncher or terrible dancer. Maybe this is your opportunity to spread as many “kitties doing stuff” videos as humanly possible. Or, you might just be in it to favorite a cavalcade of TV show clips and give your YouTube page a polychromatic makeover, rife with cliché GIFs. I will have to say, one of the funniest YouTube users is the guy with a professional looking graphic intro that fades into a poorly lit shot of him covering the news in his grandma’s basement. But alas, I digress. These days, you’ve got to protect yourself before you can represent yourself … yo. I’m talking about privacy, and it doesn’t just pertain to Facebook—the online pick-pocketer’s playground. I’m going to give you the 411 on how to fly under the radar if you’re concerned about the Russian mafia hacking into your video account. Most of these settings can be managed by clicking on Account. Let’s fire up this Crazy Train. Like nearly any social site in existence today, YouTube offers the ability to make you feel special by giving you your own profile page for all to see. 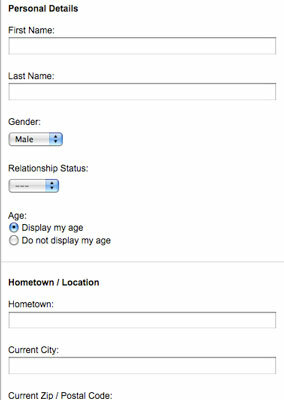 Personal details such as First and Last Name, Gender, Relationship Status, Age, Hometown, Current City, Zip Code, Education, Interests, and much, much, more could significantly compromise your ability to hide. Make sure you limit this information, or use an alias. YouTube allows registered members to friend each other, much like Facebook. However, you’re going to get a gaggle of friend requests from mysterious users. Some are spammers that showcase Jenna Jameson avatars, others are moochers trying to push their garbage videos, and others could be stalkers. For safety’s sake, only friend users you know, or users you have researched and seen videos they have posted. When you click on the Privacy option with Account, YouTube gives you two options: “Allow only friends to send messages or share videos,” and “Let others find my channel on YouTube if they have my email address.” The former is a logical choice to check, since it will whittle down the amount of rubbish tossed in your general direction, but the latter is debatable. For ultimate privacy, the best bet is to leave the second option unchecked, as anyone who stumbles upon your email address will be able to snipe you on YouTube. There’s a category in Account that is called Activity Sharing, which delegates which forms of social media you would like to outlet certain actions. For instance, when you Like, Comment, Subscribe, Favorite, or Upload a video or channel, you have the option of posting any of those actions to Facebook, Twitter, Google Reader, Orkut, or MySpace. This is achieved by “connecting” any or all of those aforementioned accounts. If you really value your privacy as much as Bruce Wayne, then disable account synching and do not blab about every time you Like a TechnoBuffalo video. Actually, please do share that … but only that. 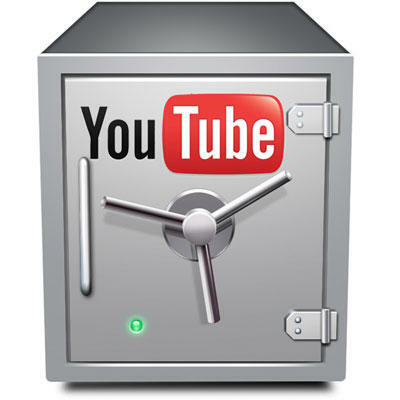 Whenever you upload a video to YouTube, you are given the option to make it Public, Unlisted, or Private. Public means anyone and the family dog can search for it and find it via the title or keywords. Unlisted means anyone with a link to the video can view it. Private means only people you choose can view the video—a stealthy Invitation Only gala event to an .MP4 of Dad getting hit in the nuts with a whiffle ball bat. It’s a good idea to change your login password about once a month. Also, don’t divulge your location, or the location the video was taken. You can monitor comments, comment voting, video responses, ratings, view count, and embedding. Embedding is a big privacy concern as well because the video can be traced to you and your YouTube channel from whatever website it ends up on. Also, keep an eye out for people downloading and reuploading your video under a new name. It’s happened to me a few times, and I usually have it taken down by YouTube. Either that, or I send Moose and Rocco with the knuckle sandwich over to their house using the video location information they supplied in my ripped off video. I hope this helped, and feel free to post any additional insight regarding YouTube privacy.